To succeed in a highly competitive online environment, your site must comply with all the modern trends of web development and design. Inspired by this truth, the team behind TemplateMonster has started updating their customers’ favorite themes on a regular basis. Packages of updates include both revised features to enhance your website’s performance and new ones to expand its functional potential. Each package also comes with more ready-made designs for pages of different types and more design variations for one page type. In such a way, the field of themes’ use becomes much broader. 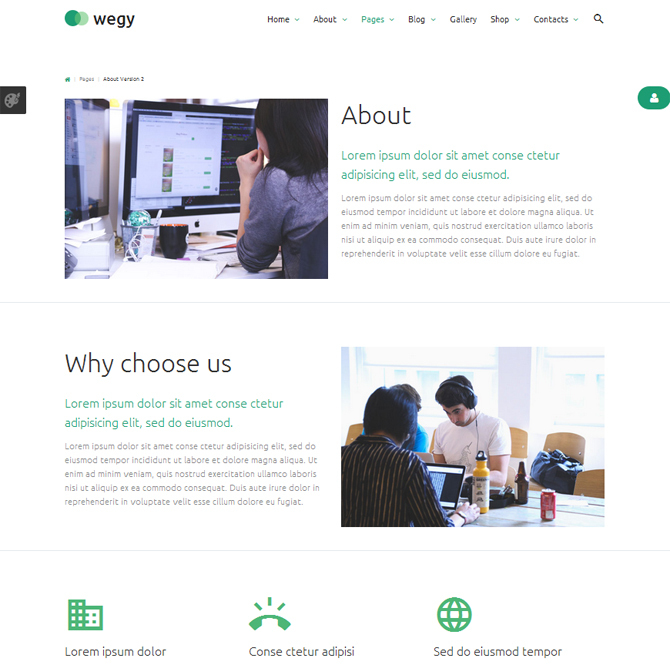 In this post, we’d like to draw your attention to the latest updates of two popular themes dubbed Wegy and Ketty. 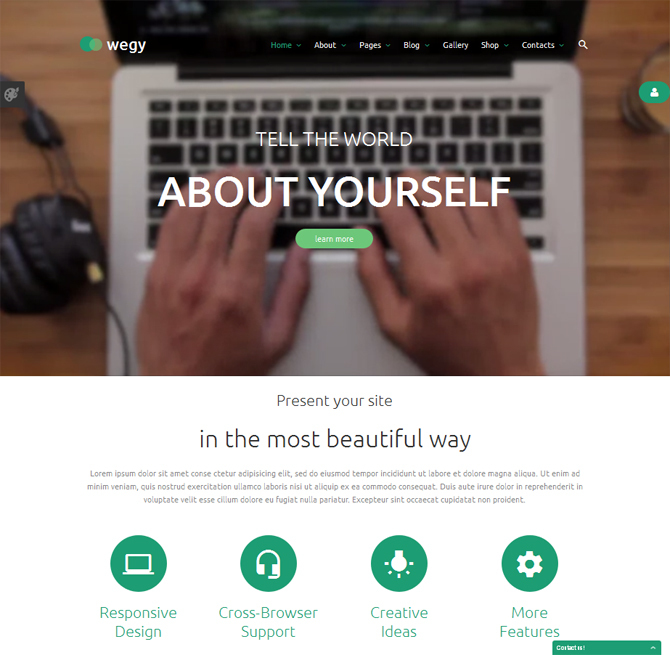 Let’s start with Wegy. 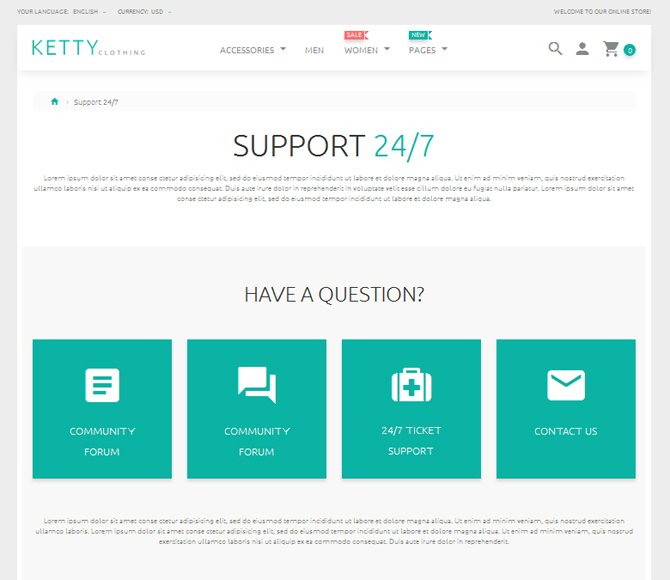 This responsive business Joomla template got the second update not long ago. It’s notable for both new features and pages. Check them one by one below, please. Unlike static imagery, video backgrounds can help you communicate your business idea in action. As motion always catches an eye first of all, video backgrounds never stay out of view. With the update of this technique, page scrolling has become much smoother than before. The third homepage version features a large video background overlaid with multiple elements. They include a logo, menu, search, captions, and learn-more button. Another highlight of the new homepage design is an image gallery composed of elegant square tiles. By means of a lightbox, you can take a closer look at each picture without leaving the homepage. 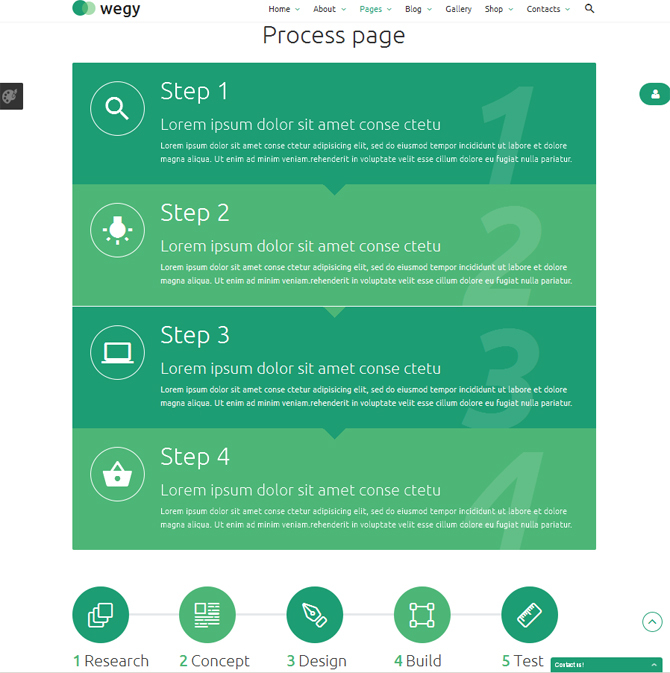 Here is a new Wegy page meant for guiding customers’ through a certain process in a well-organized manner. Step-by-step instructions are presented with banners, vertical and horizontal lines. The latest design of the about page differs from the default version in the style of information presentation. Its layout is divided into two columns. The right column has a small portion of text while the left one displays imagery, and then vice a versa. 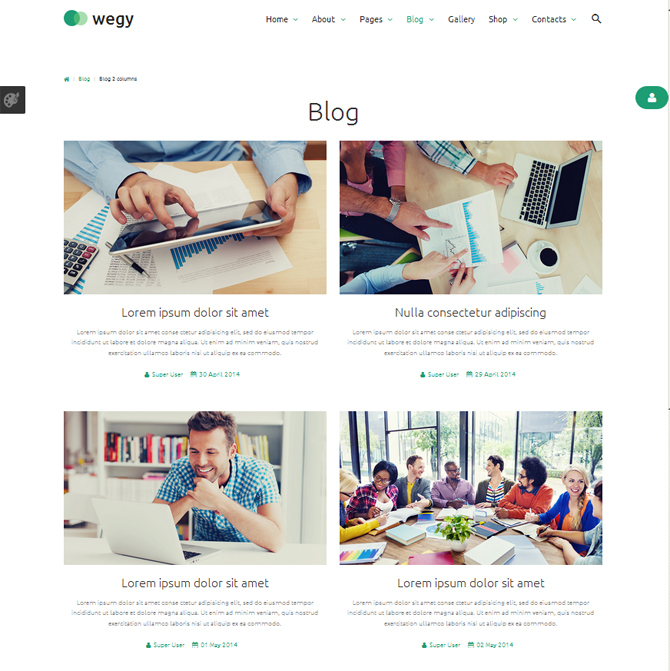 In the second package of Wegy updates, there is a new version of the blog page featuring a two-column structure. With its help, you can show readers more post previews compared to its one-column alternative available in the initial package. On the new FAQ page, questions and answers are displayed in the accordion style, whereas the default version resorts to toggles. What’s more, larger typefaces are used to bring questions into focus. What’s also notable about the latest updates is a home landing page. 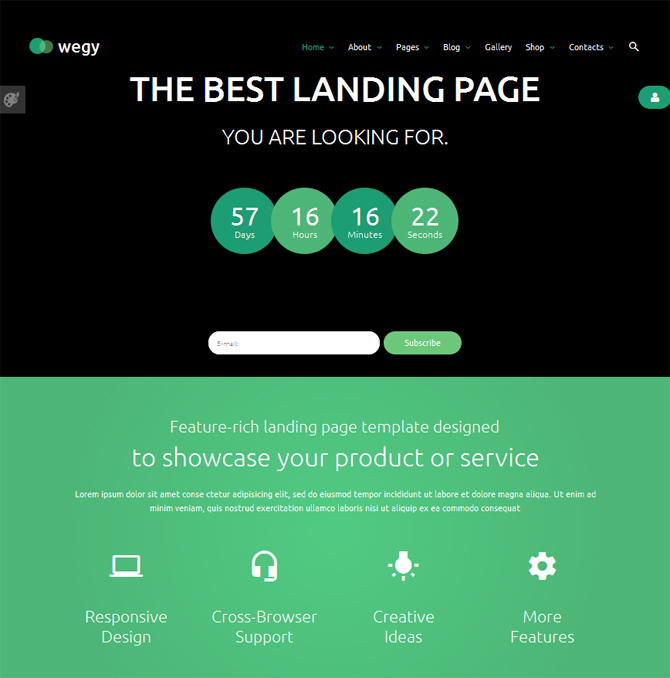 Its header is presented with a page-wide video background, where you can also find captions, menu, logo, countdown and newsletter signup form. The main body features elegant post previews, FAQs, pricing tables, testimonials, partners, video widget, and much more. As for the footer, it’s supplied with social icons and contact from encouraging further relations between you and your audience. Now, let’s explore the pack of Ketty updates. This responsive Magento theme is designed for clothing stores but can also be adapted to beauty, jewelry, gifts, crafts, and many other eCommerce sites. 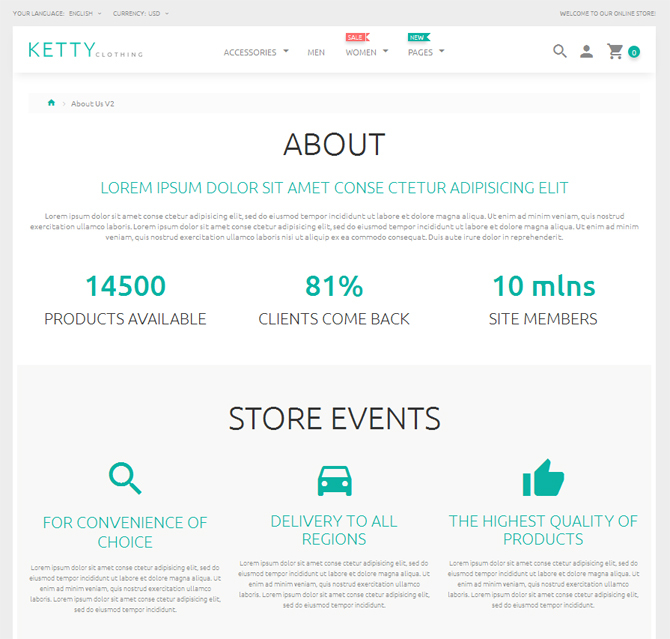 Compatible with Magento 1.9.2.1, the updated version of Ketty has the following new features. Here, you can find options of configuring home pages and static blocks. This design brings more focus to headings, as they are written with larger typefaces. Testimonials are shown in pairs, while the default version displays them one by one in a carousel. 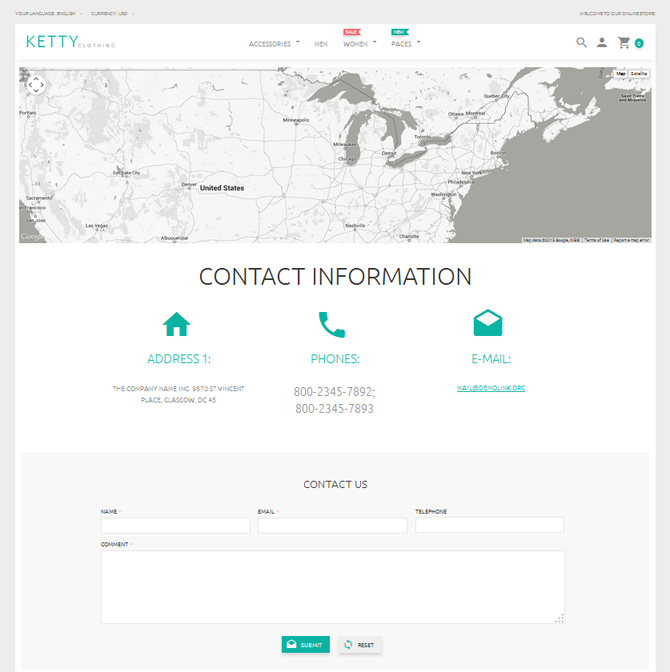 The second version of the contact page features a wider layout, where address, phone and email details are arranged in three columns. 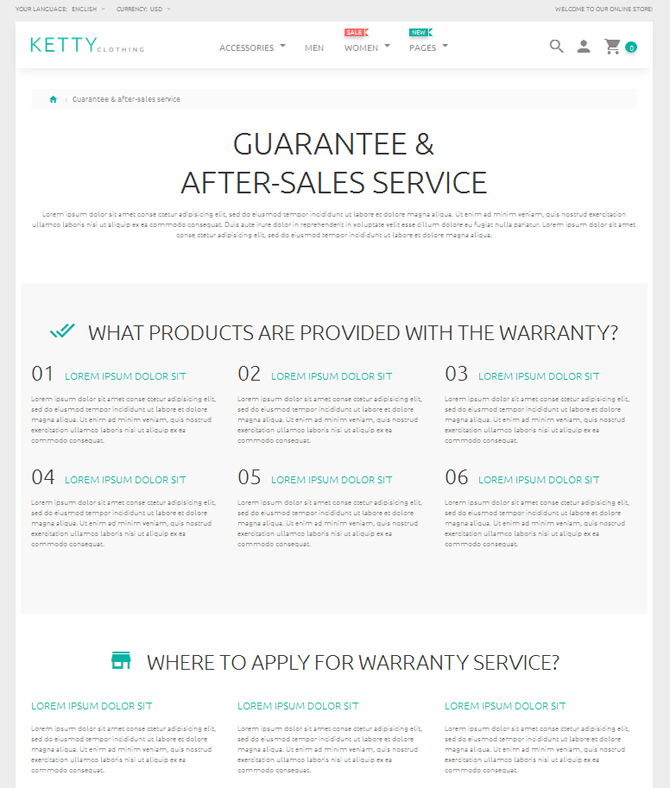 Ketty is packed with a well-structured page, which can be used to highlight your warranty and return policies as well as after-sales services. Thanks to this page template, your site will have a separate page, where you can provide the information about your delivery and payment methods. 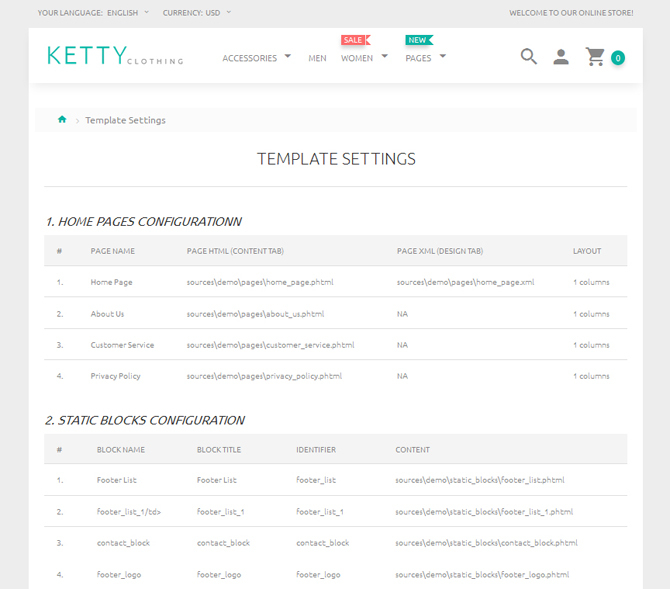 In the Ketty package of updates, there is also a minimalist page meant to outline the main principles of your support activities. 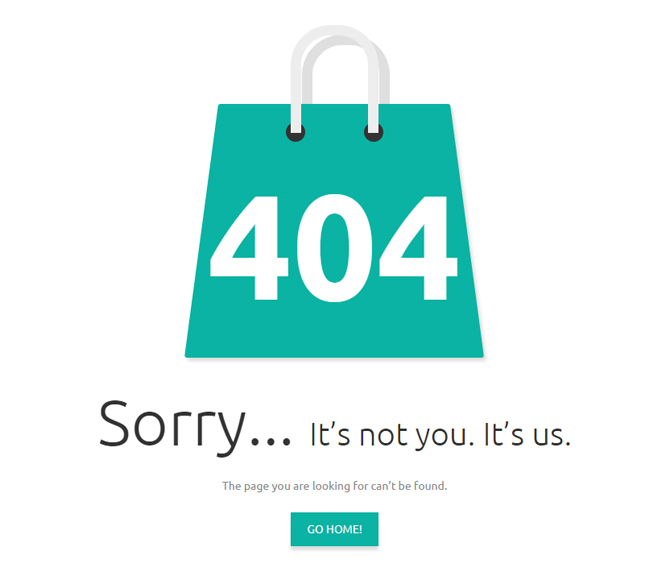 This page will come in handy each time links become invalid or broken on your site. Use this page to answer the most frequent questions of your customers. Accordions contribute to more compact presentation of the information. 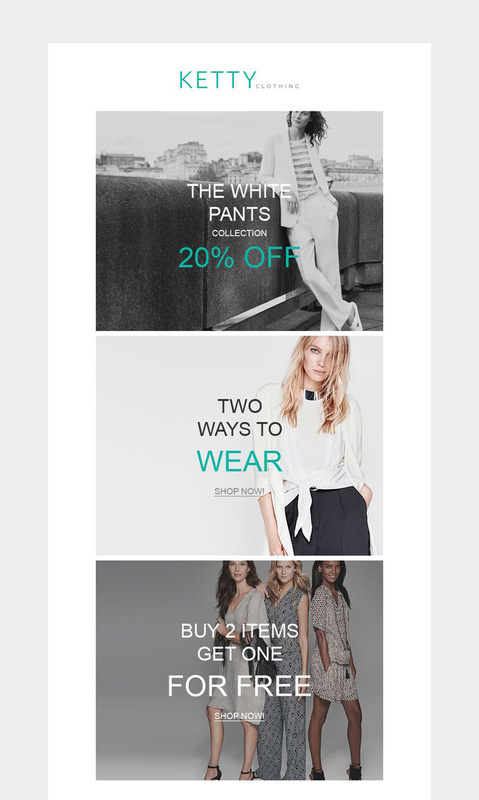 As a bonus, Ketty gives an access to a stylish newsletter template. Once you update the default version of the theme, you will see it in the admin panel. TemplateMonster professionals are always in search of creative and innovative ways to modernize their designs. Wegy and Ketty are just two examples of their efforts. If your eCommerce site is powered by PrestaShop, you may want to check updates of Styler, a responsive fashion PrestaShop theme. Users of WordPress may also be interested in exploring updates of Monstroid, a multipurpose WP theme.